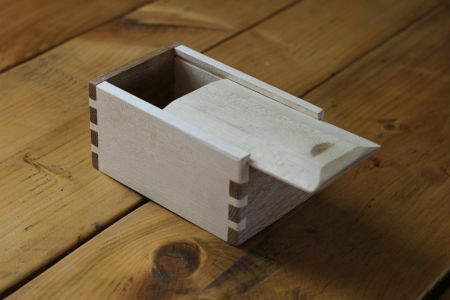 A lovely 2 day Joinery project - Make a beautiful dovetail box from native hardwood, using only hand tools, complete with dovetail joints and a sliding lid. 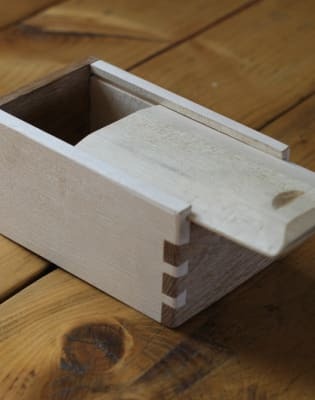 Make a beautiful dovetail box from native hardwood, using only hand tools, complete with dovetail joints and a sliding lid. This course is perfect for absolute beginners and anyone interested in woodworking, as well as people with a bit of woodworking knowledge that want to expand their skillset to include some classic joinery! and if you want to make it or give the course as a gift for someone, it's absolutely perfect! 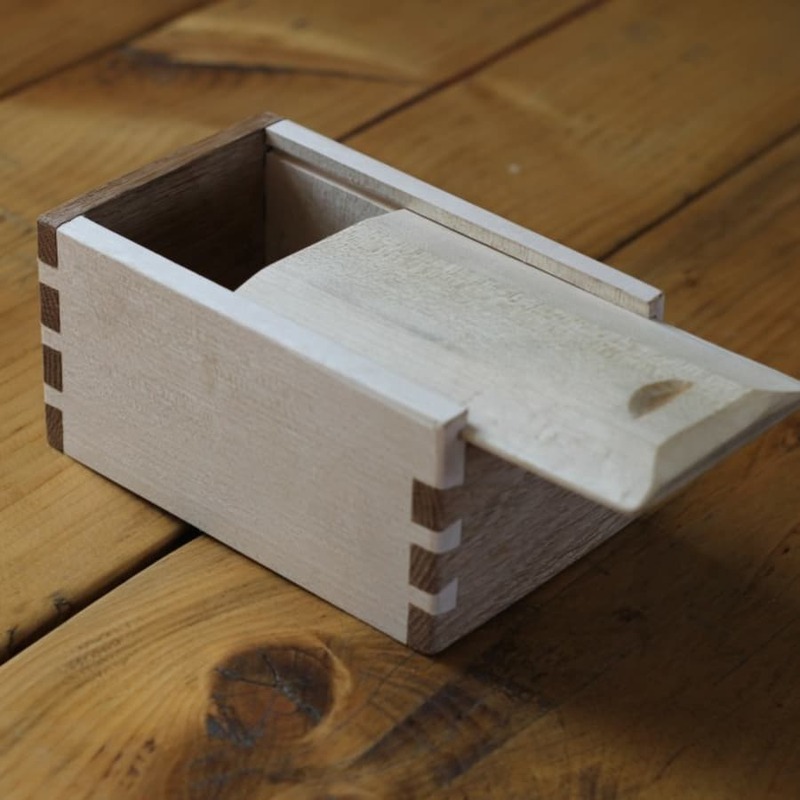 In this course you get introduced to the basics of joinery with wood. The best bit? You do all this, without the need for glue, nails or modern power tools. Joinery is one of the core aspects of woodwork and The Green Wood Guild hugely value the role joinery plays in the craft. 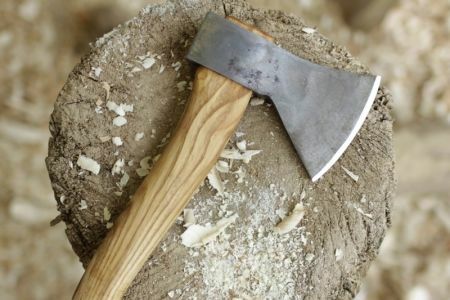 On top of joinery, on this course you will learn to use handsaws, planes and chisels accurately and efficiently, some really useful tips and tricks, as well as tool maintenance and sharpening. Wood changes shape whilst drying, so is inappropriate for joinery - using seasoned wood means that your joints will remain tight forever! 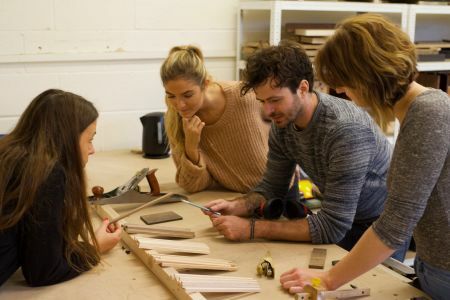 Based in their beautiful workshop on Stepney City Farm, Green Wood Guild offer a fantastic range of courses, workshops and taster sessions in all aspects of green woodwork, as well as joinery classes. All the woodwork is based on time-honoured woodworking skills & techniques, working with traditional hand tools, and often using wood straight from the tree, whilst it is still fresh. For the joinery classes they use seasoned wood which has been locally sourced. 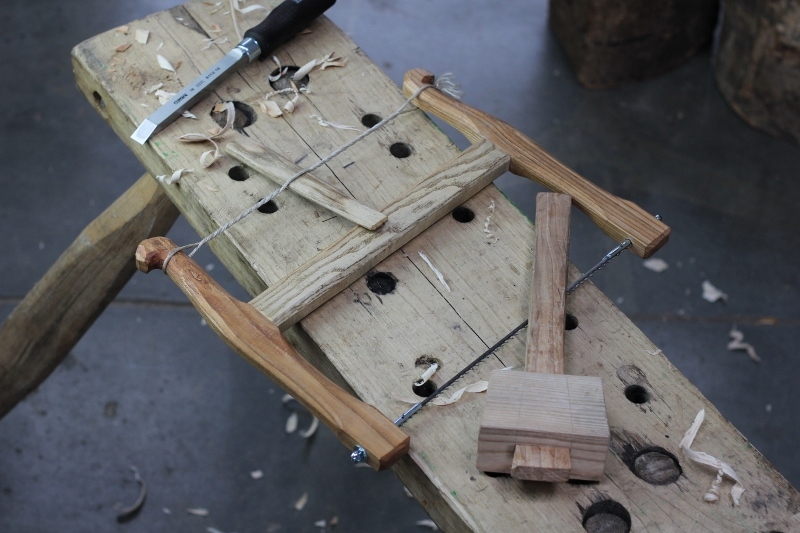 The inclusive course structure at The Green Wood Guild is perfect for anyone with an interest in green woodworking or joinery, and is based around a love for the craft and passion for teaching, covering everything from knife carving to furniture making. No need to bring anything, all materials and tools are provided! Tea, coffee and biscuits are provided throughout the course, but a packed lunch is recommended!